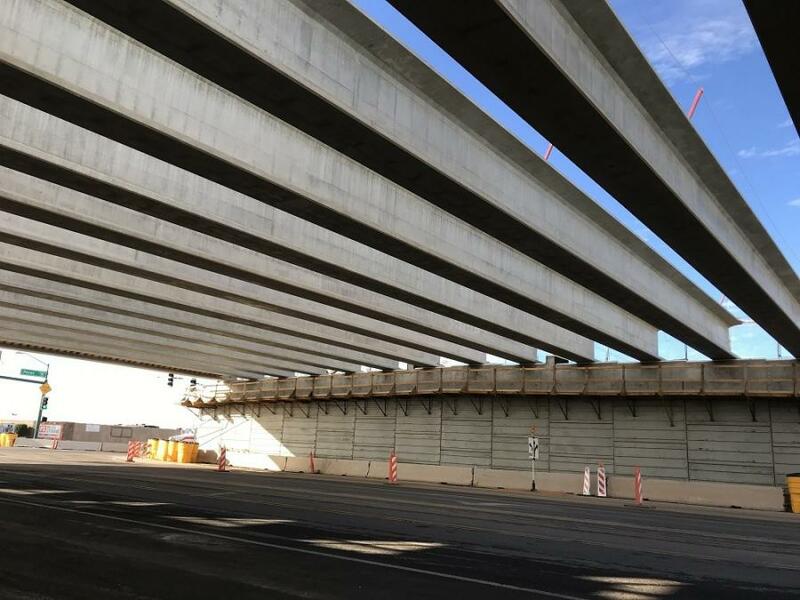 As the Loop 202 South Mountain Freeway advances, bridge girders were installed last month at two of the 14 planned traffic interchanges, marking the first time on this Arizona Department of Transportation project that these massive support beams were set at two interchanges in the same week. 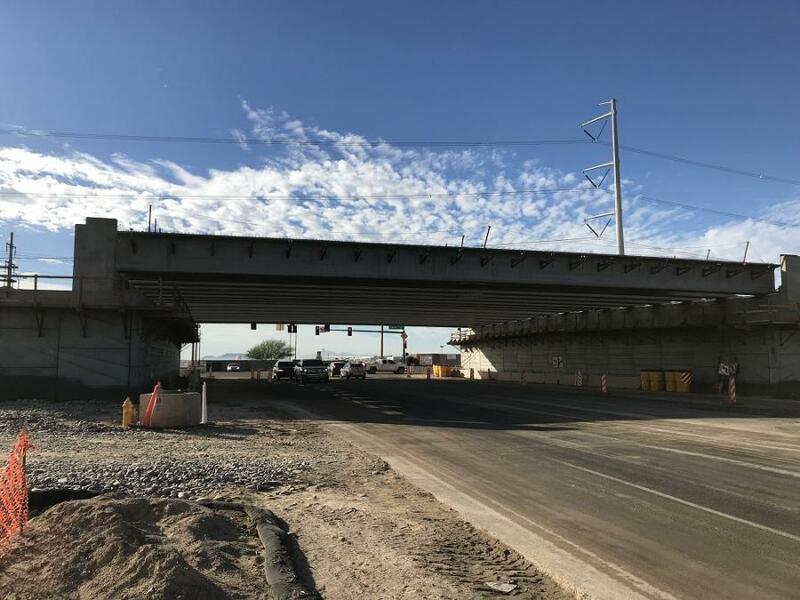 Working overnight, crews with Connect 202 Partners, the developer building the South Mountain Freeway, placed 15 steel-reinforced concrete girders over 32nd Street near Pecos Road in Ahwatukee. Each of the girders weighs 105,000 lbs. and is 116 ft. long. Two large cranes carefully hoisted and set these girders atop the abutments and piers. Placing a single concrete girder can take up to one hour. With the 32nd Street girder placement completed, the same crews moved several miles to the northwest and set an additional 16 girders over three nights at the Broadway Road overpass near 59th Avenue in Laveen. All of the girders are manufactured locally and were hauled to construction sites overnight, when traffic is lighter. Thus far, more than 600 girders have been installed on 40 bridge structures throughout the South Mountain Freeway corridor. With girders in place at 32nd Street and Broadway Road, crews will finish pouring concrete decks and add barrier walls on the bridges. In November, ADOT announced plans to add a South Mountain Freeway interchange at 32nd Street following an environmental study stemming from stakeholder input. The connecting ramps at the 32nd Street interchange will be completed after the South Mountain Freeway opens. The 22-mi. South Mountain Freeway, which is scheduled to open as early as late 2019, will provide a long-planned direct link between the East Valley and West Valley and a much-needed alternative to Interstate 10 through downtown Phoenix. Approved by Maricopa County voters in 1985 and again in 2004 as part of a comprehensive regional transportation plan, it will complete the Loop 202 and Loop 101 freeway system.